Acute myeloid leukemia (AML) is a type of blood cancer. 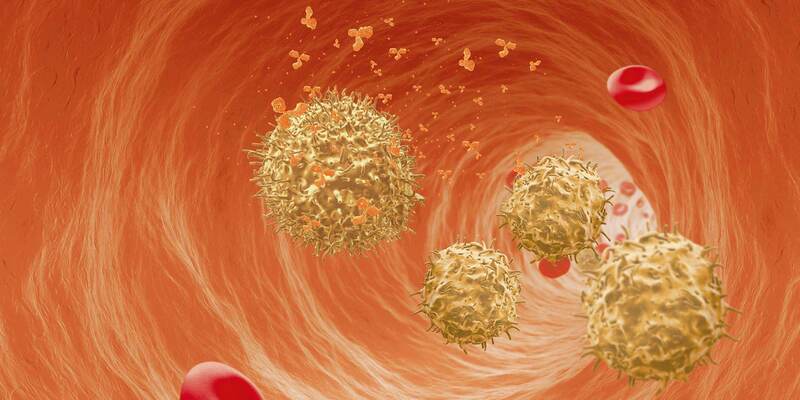 There are three main types of cells in the blood: white blood cells, red blood cells and platelets. White blood cells are responsible for fighting infections and other diseases. AML is a condition where the bone marrow makes large numbers of immature white blood cell known as myeloid cells. Myeloid leukemia occurs when these white cells multiply uncontrollably in the marrow, crowding out other normal cells and leading to impaired function of the blood building system. The sudden rate at which the leukemic cells replace the normal blood and bone marrow cells is the parameter that qualifies the form of the disease as acute. Eventually the regular production of blood cells is destroyed and the risk of infection or bleeding increases significantly. Ask your doctor and visit the Leukemia and Lymphoma Society website (www.lls.org) to find comprehensive disease information about AML. Induction therapy: Initial phase of treatment, designed to remove all detectable leukemia cells and treat the immediate disease. Consolidation therapy: Further treatment to destroy remaining leukemia cells and prevent the recurrence of the disease. The elimination of leukemic cells is usually accomplished using chemotherapy. This can be achieved with multiple drugs during a planned sequence of treatments. If induction therapy is successful, no detectable leukemic cells will remain following this phase of treatment. This state is called a complete remission. However, induction therapy often does not destroy all of the leukemic cells, leaving a small number to persist. In some cases, often dependent on disease stage or chromosomal abnormalities, the cancer will return within several years. The recurrence of cancer is called relapse. Once the AML patient is in complete remission, further treatment will be given to kill any remaining leukemic cells and prevent relapse. For intermediate or high-risk AML, consolidation therapy options include chemotherapy with or without stem cell transplantation. The choice and intensity of treatment is dependent on the same factors described in the induction therapy section above.